Have your pool shipped directly to your home, commercial businesses or freight terminals for as low as $99.99! Call us for YOUR RATE! Delivery times varies for items shipped by a freight company. However, normal transit time is between 3 to 7 days. You will be notified by the freight carrier 1-2 days prior to your delivery for scheduling and an authorized signer (18 or older) must be present at the time of delivery. All of our home delivery pools can come to your home with lift gate service, check for fees. The driver will remove the pool that will be poly wrapped onto a pallet directly off the truck and into your driveway. YOU MUST CONTACT Swimming Pools Discounters before the truck leaves in order to refuse a shipment. Please compare your delivered items with the delivery bill, noting any differences in quantities or damages on the delivery bill BEFORE you sign. This will be required for filing a claim with the freight company. 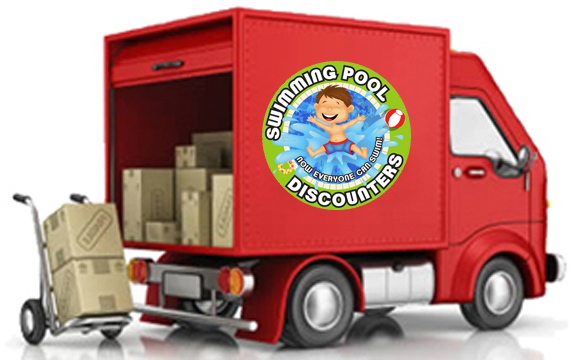 Signing the delivery or pickup bill without noting all damaged and/or missing items implies that the shipment was delivered as expected, and Swimming Pool Discounters nor the shipping company can be held responsible for any lost or damaged items. While Swimming Pool Discounters will attempt to correct any damages caused by the freight companies, these damages falls on the freight companies timelines for settlement. No pools will be shipped out without paperwork being signed off first by the customer. 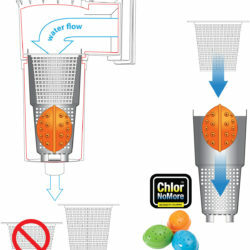 CALL (1-888-GET-POOL ) 1-888-438-7665 TO ORDER!